Let me introduce you to the friendly team: First we have Chrystalla who is my Assistant Manager, who has over 30 years experience in the Travel industry! We also have got Elisa who was our foreign exchange consultant, and is now one of our senior travel consultant! Between the team, they have travelled the world and have the knowledge to show for it. Southbourne have many returning clients, who have trusted us with their holiday arrangements for years. We also look forward to welcoming new customers to the branch in the coming months. Whether you are looking for a cruise, city break, a long-haul getaway, a family holiday or a tailor-made itinerary, Southbourne are here to help you book your dream holiday. They can also provide you with all the extras that enhance your holiday experience, including travel insurance, car hire, airport hotels, airport parking and a selection of holiday excursions. Extremely competitive rates on foreign currency and a buy back service for your leftover holiday money with the in-store foreign exchange service. Team Southbourne's ultimate passion is to create unforgettable memories for their clients, with no exceptions. 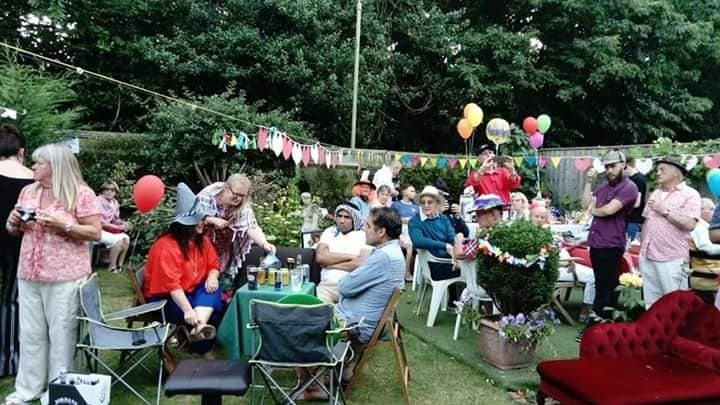 Our branch have been getting involved with the local community recently by raising almost £1,900 for the Nordoff Robins at a Garden Party event. Our Travel Consultant, Ray organised and hosted a party in his own garden and was joined by 72 guests who enjoyed a live DJ and 3 singers. There was also a raffle with prizes generously donated from local businesses, friends and family to raise extra funds for the charity. Whatever type of holiday you're looking for; we'll be delighted to help. Come in and see us – we are located on Southbourne Grove, next to the Ludo Lounge.